Tata Motors is all set to launch its Tata Merlin SUV on 27th of September. While the overall appearance of the SUV is expected to remain as that of the Tata Safari, many cosmetic changes have accounted for the new exteriors based on the Jaguar Land Rover models. 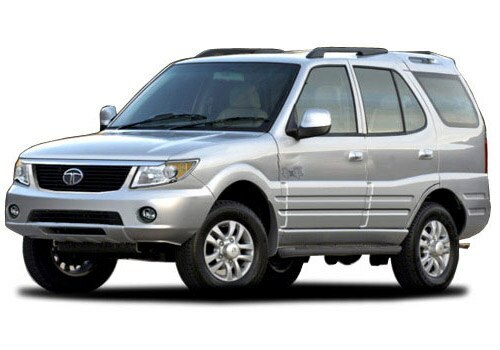 Despite the introduction of Tata Merlin SUV, the Indian manufacturer envisages Tata Safari and the upcoming Merlin to co-exist. The Tata Merlin price in India is expected to be around Rs 10 lakh to counter the upcoming Mahindra SUV, XUV 500. With Mahindra XUV 500 price around Rs 15 lakh, the Tata Merlin is expected to be a volume puller with respect to sales. The new SUV will have a seating layout for seven passengers similar to that of Tata Safari along with many other Tata Merlin features including, leather upholstery, adjustable driver seat, sunroof apart from the safety features, ESP, ABS, airbags and traction control. The other cosmetic changes in the new SUV are the altered headlamps, tail lamps, fog lamps and the front and rear bumpers as well. The interiors of the SUV are also supposed to have undergone change such as the steering mounted controls, new meter dials and automatic climate control. The Tata Merlin will have an entertainment system that supports the MP3 DVD player and a satellite navigation system for the driver’s aid. As for Tata Merlin specifications, the SUV is going to house the same 140 Bhp, 2.2 L, 2179 cc, DICOR Safari engine with peak torque output of 320 Nm. A 5 speed or a six-speed manual gearbox could be deployed to transmit the power to the wheels. The expected mileage for the SUV is around 15 kmpl on the highways and 11 kmpl in the city. With many features aboard and economic pricing makes the SUV to be the most anticipated launch in the season living up to the brand image of other Tata cars.